Suddenly, we're faced with horrible flashbacks of "The Dress," the black-and-blue, or white-and-gold, outfit that ignited the internet just a few years back. And now, we have another color debate on our hands. Twitter user tfildolands shared a photo of her friend's sneaker, polling the internet with questions of the shoe's color. Quickly, the divisive color of the retro Vans sent the internet into a spiral. 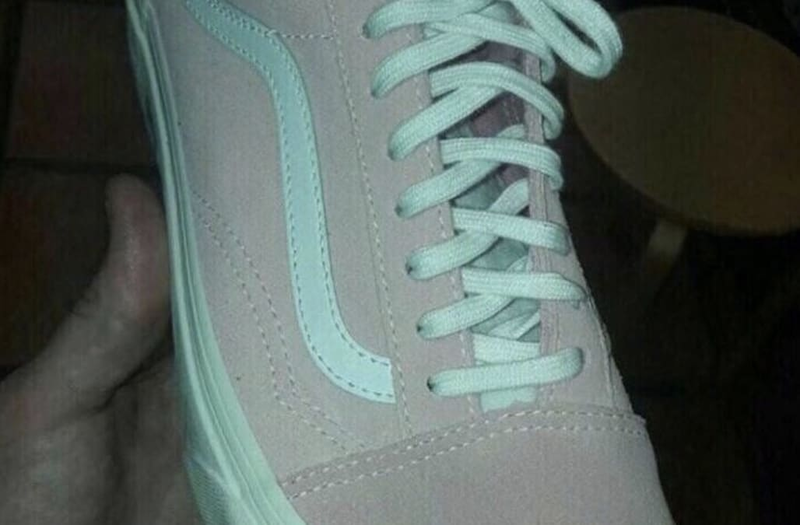 To us, the shoe looks gray, with teal laces, teal stripes and a teal bottom. However, many saw the footwear as pink with white laces. Despite the photo being tainted, they were still seeing different colors. "Without you having to worry about it, your brain figures out what color light is bouncing off the thing your eyes are looking at ... This image, though, hits some kind of perceptual boundary," which explained how we looked at "The Dress" controversy. A terrier dog driving his car on a sunny day in the Jerusalem Forest. Golden Eiffel Tower fitting on the cityscape with the real one in the background. Children using beach sand to cover themselves to give the illusion of a headless person lying on the beach. Optical illusion. This building in Paris, close to the Church of the Sacred Earth, seems to be skew, while in fact it is the green lawn that goes up hill.